Get your sparkle on, thanks to forthcoming affordable jewellery sales. John Pye Auctions is the master of sparkling accessories. And not only are their jewellery and watches exquisite, but they come with an affordable price tag. Did we mention that Christmas is just around the corner? With premises throughout the United Kingdom, John Pye Auctions’ ‘Luxury Assets’ sales are numerous. The breakdown of dates are as follows: 8 November in Mayfair, London; 9 November in Marchington; 12 November in Port Talbot, South Wales; and 15 November in both Mayfair and Marchington, East Staffordshire. Of course you can pursue their entire offering of luxury goods on Barnebys, but for now here are our top picks. 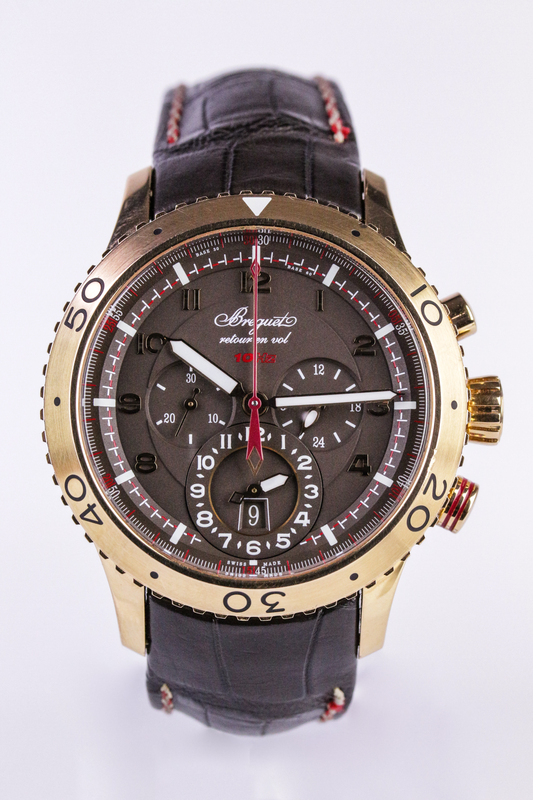 This Breguet Type XXII Flyback Chronograph Watch is being sold in Mayfair on Thursday 15 November. Breguet is a Swatch-owned brand of luxury watches which was founded over 200 years ago in Paris by Abraham-Louis Breguet, a Swiss watchmaker born to Huguenot parents in Neuchâtel. The dowry that came with Breguet’s marriage to the daughter of a prosperous French bourgeois family provided the backing which allowed him to open his own workshop. Interestingly, following his introduction to the court, Queen Marie Antoinette grew fascinated by Breguet's unique self-winding watch. Louis XVI subsequently bought several of his watches. 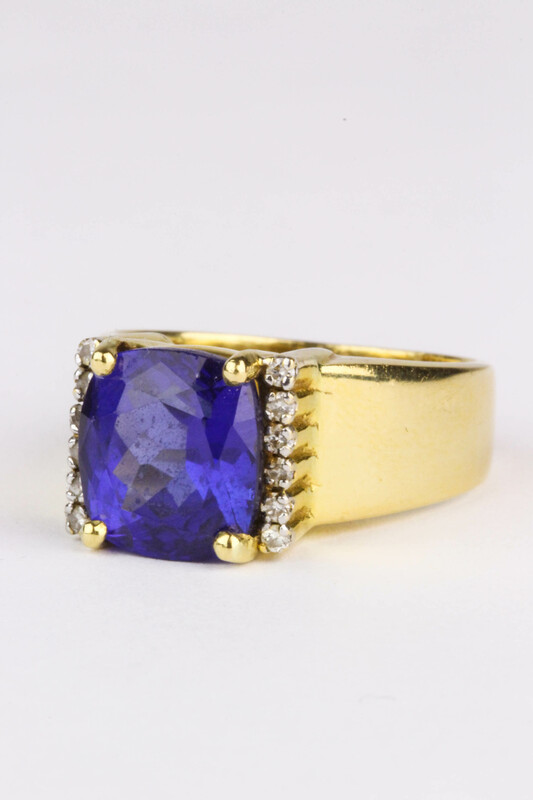 This tanzanite and diamond dress ring is available in Marchington, the auction taking place on Thursday 15 November. Tanzanite is the blue and violet variety of the mineral zoisite. The gemstone was discovered by Manuel de Souza in the Mererani Hills in Northern Tanzania in 1967. Tanzanite is only found in Tanzania, in a very small mining area approximately 7 km long and 2 km wide. 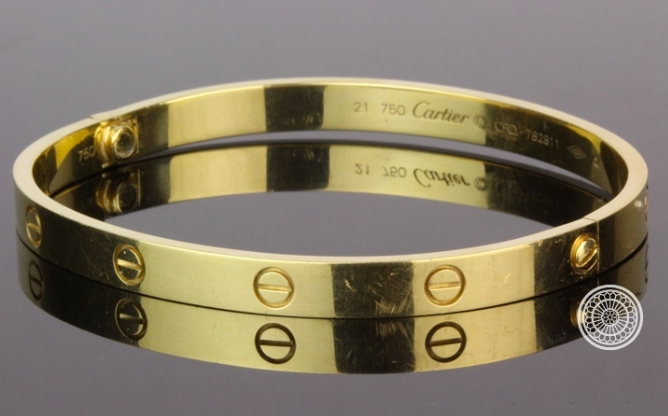 Cartier’s love bracelets are iconic and immediately identifiable upon any person’s wrist. This gold variation is an oval bangle with screwheads motifs, accompanied by a signed pouch and screwdriver. It’s inner diameter is 6.8 cm and it weighs 4.39 g.
Time to say ‘I do’? This platinum diamond single-stone ring is designed as a brilliant-cut diamond in a six-claw setting. 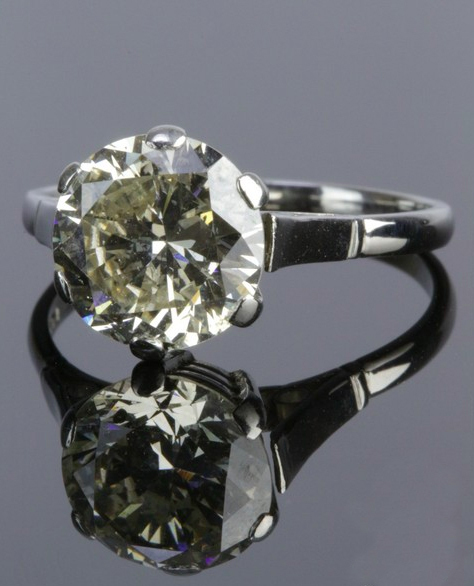 Total diamond content is approximately 2.50ct, estimated colour is K-L and estimated clarity is SI1-SI2. Ring size is L1/2 and weight is 3.87 g.